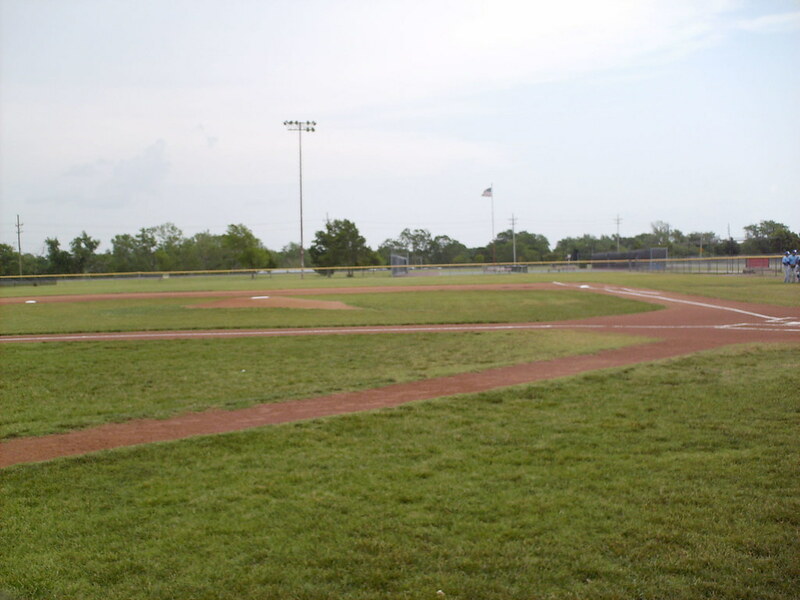 The view from behind home plate at Al Burns Field. 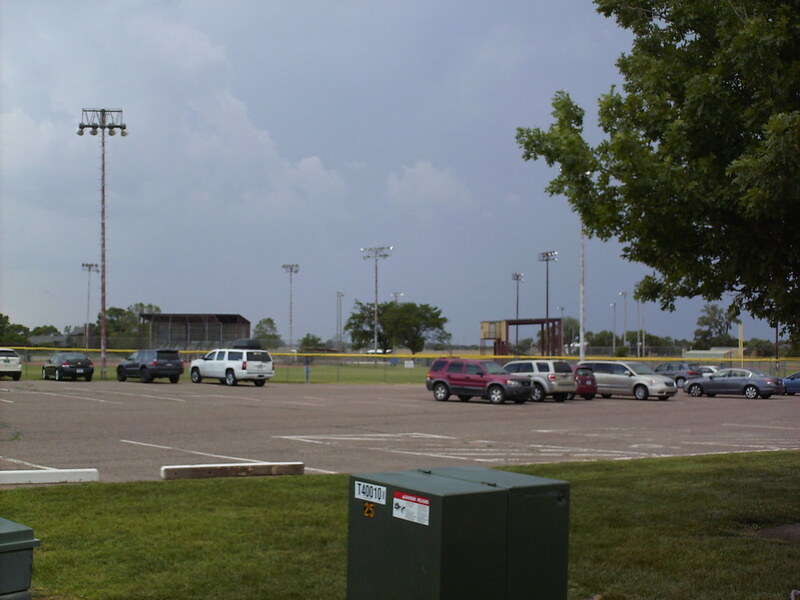 The view from down the first base line, looking out toward the scoreboard in left field. 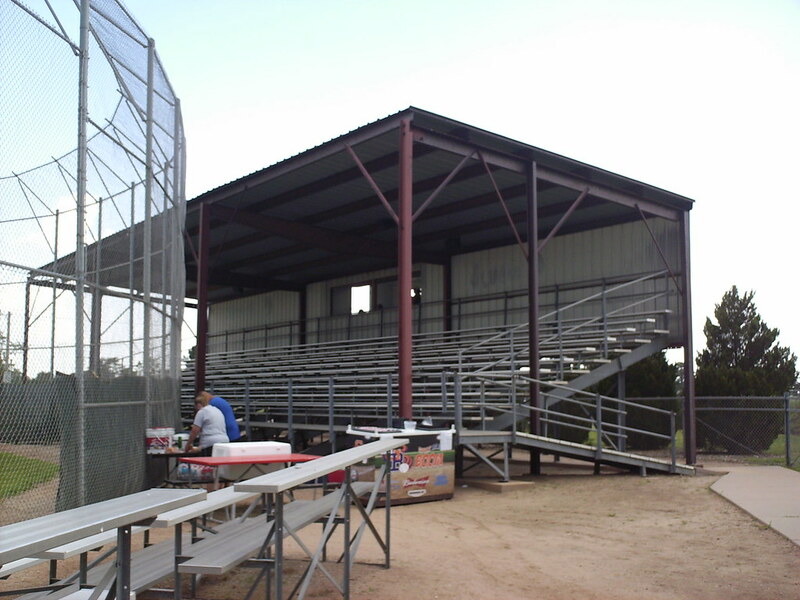 The grandstand at Al Burns Field, as seen from the third base side. 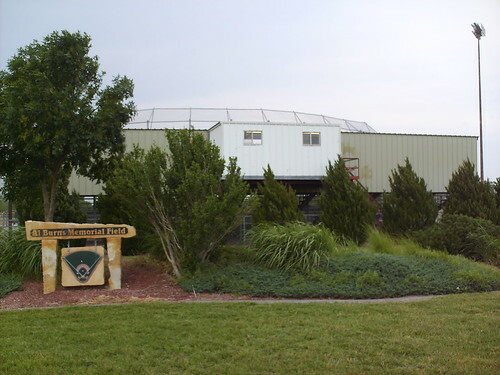 The grandstand is a "fairgrounds" style structure that runs in a straight line behind home plate, rather than wrapping around the backstop. 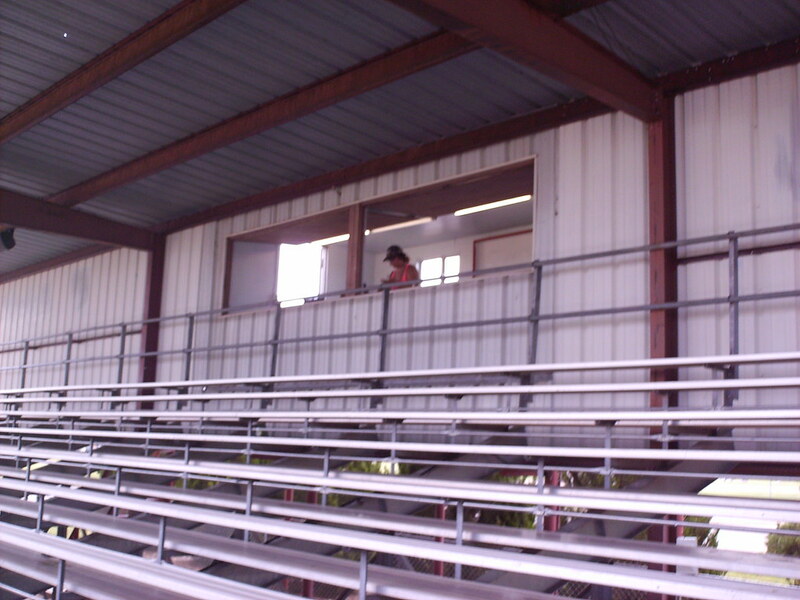 The pressbox is built into the back wall of the main grandstand. 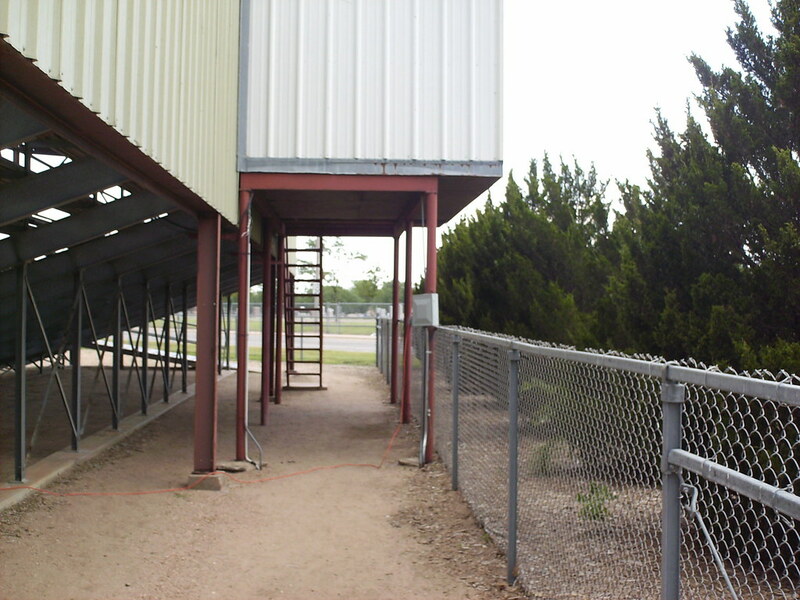 The small concourse runs behind the grandstand and underneath the pressbox. 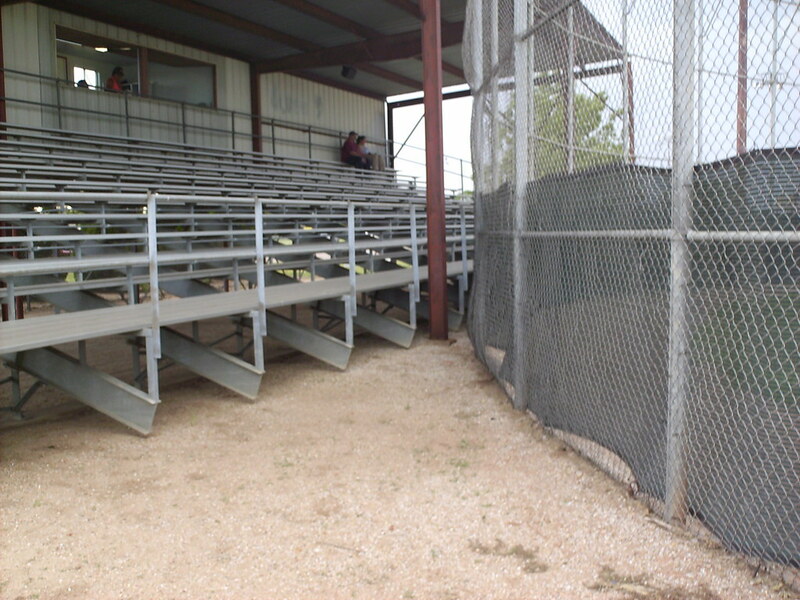 Small sections of aluminum bleacher seating sit beside the main grandstand on either side of the stadium. 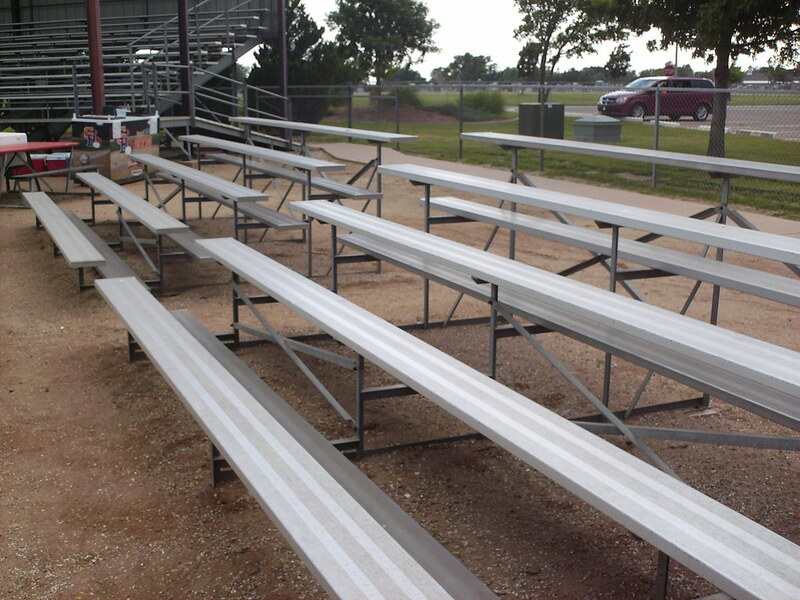 Picnic tables sit beside the bleachers at Al Burns Field. 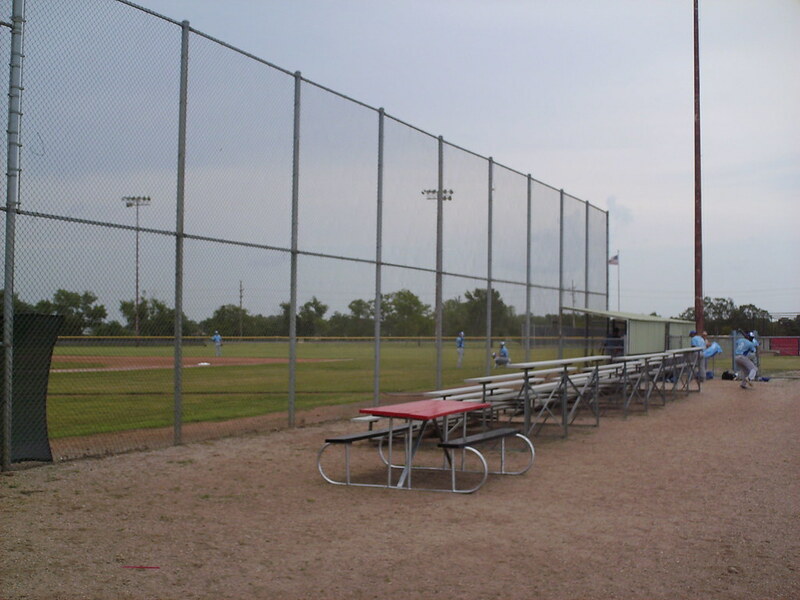 A large chain link fence separates the stands from the field. 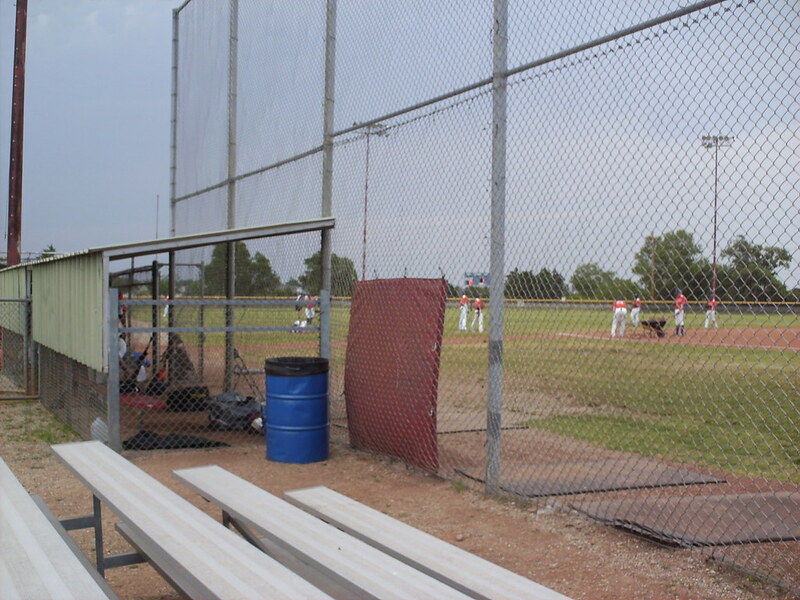 The above ground, chain link dugouts are covered by corrugated metal panels. 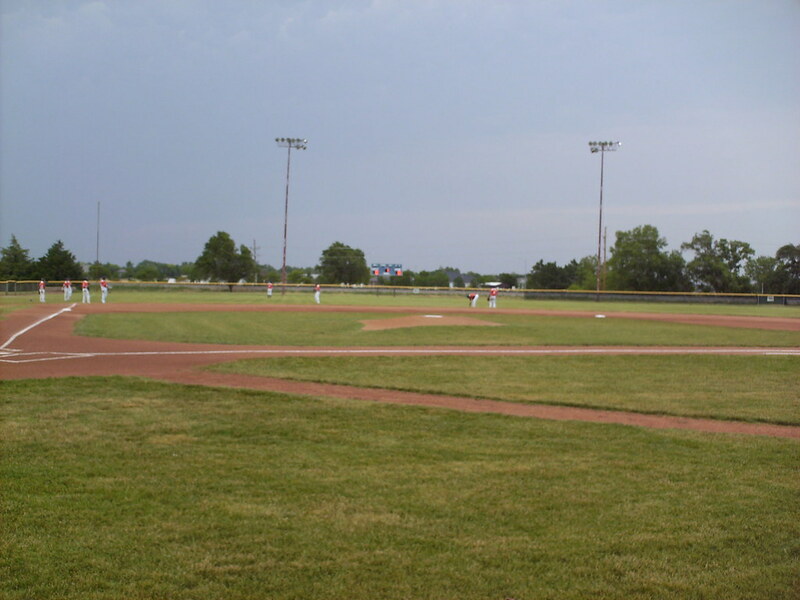 Al Burns Field is part of a larger complex of youth athletic fields, so it is surrounded by smaller versions of itself. 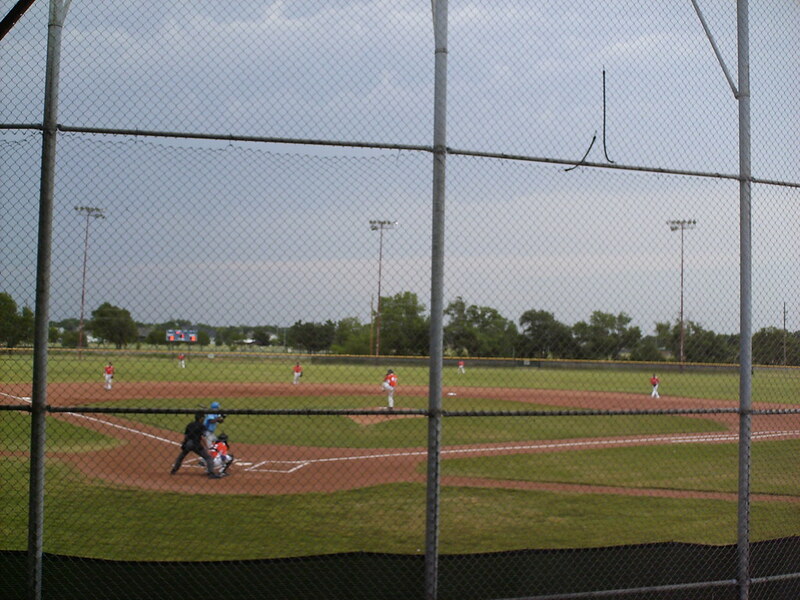 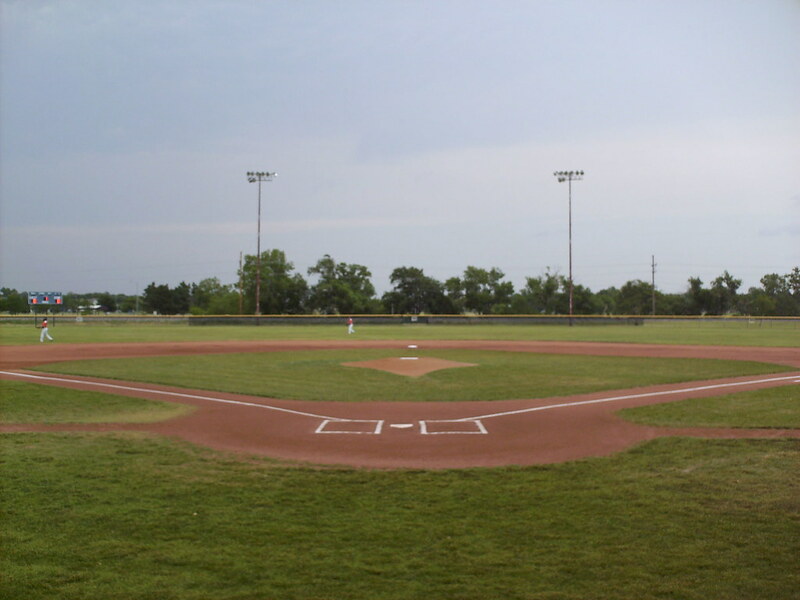 The Great Bend Boom on the field during a game at Al Burns Memorial Field.